We are excited—and incredibly honored—to share that we’ve been named a “Leader” by G2 Crowd based on your LinkedIn Learning reviews! For everyone who submitted a review, we thank you and please keep sharing your thoughts and feedback. We’re listening! G2 Crowd aggregated the reviews of all vendors in the industry and analyzed them based on 15 data points that it then converts into a G2 Crowd score. The piece of G2 Crowd’s ranking system that we love the most is that it’s user-driven. 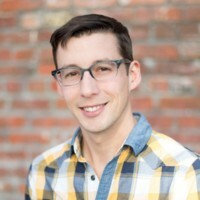 Hearing from our customers about the features they love, and the features they wish they had, is largely what we attribute to the continued improvement of LinkedIn Learning. “I liked that not only do they have lessons on just about any subject, but they use real professionals to train you. You also have small chapter quizzes and end of lesson tests to make sure you understand and are following along." Haley F.
“Training a large number of employees is much easier with Linkedin if you do not have the funds to sponsor days of classroom courses. [With LinkedIn Learning] employees can have at least 2 hours of daily study and still continue with the workday.” Luis T.
“I really like the short nature of the videos and learning tools. It’s easy to use and do with some down time at work. It is also pretty comprehensive, the videos I’ve watched are very well planned out and easy to follow.” Consuelo W.
Here are some of the suggested improvements that customers asked for. We’ve been working hard to add these features to our platform and we’ll continue to develop the platform on the long journey ahead. To be named a “Leader” a company needs to have a large Market Presence while simultaneously maintaining a high level of Customer Satisfaction, not easy to achieve. 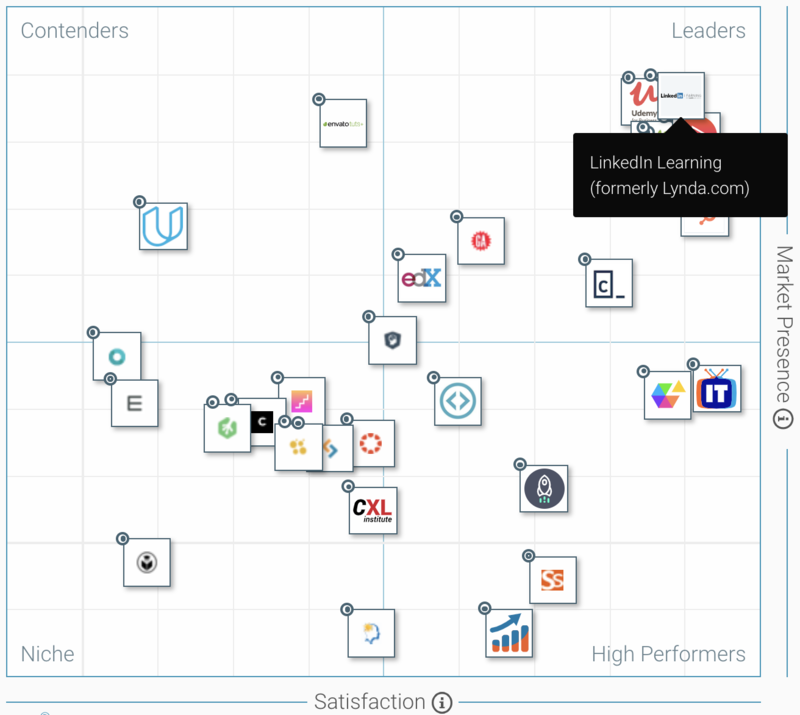 You can view the full results and read other LinkedIn Learning reviews at the G2 Crowd Grid Report.